Lately it seems like my entire life is about counting carbs, measuring food, and injecting insulin. I thought that maybe if I write it all down I can figure out what my life beyond glucose is. Thankfully I’ve been in the process of trying to lose weight which for me means writing everything I eat down so this wasn't too hard. 6:30am – 2 packets of Peaches & Cream Instant Oatmeal, a large cup of coffee with sweetener and half & half. 11:30am – 3 cups of mixed greens with some chopped up cucumber, red peppers, and celery. I also throw in some feta, cooked chicken and dried cranberries for flavour and top it off with low fat Greek dressing. I usually add a yogurt on the side as I need to up my dairy count. 6pm – Last night I had balsamic pork tenderloin with some rice and brussel sprouts. Not very exciting. This is pretty much what I eat every day although with variations. For example, breakfast can consist of 2 scrambled eggs, 1 cup of berries (whatever is in the fridge), and a piece of whole grain toast and butter or maybe pancakes if I’m feeling the need for carbs. Lunch sometimes has chicken caesar salad, or a meat, lettuce and cheese sandwich on whole grain bread with some cut up veggies on the side. Dinner usually consists of some sort of meat choice, a starch and some veggies. So many choices…there’s a lot about Diabetes that needs to change: a functioning pancreas, the creation of some sort of device that functions like a pancreas, a device that collects all of my data with no input from me – BG’s, food, exercise, insulin given, sleep patterns, stress levels, etc. But I think the biggest thing that needs to change in relation to diabetes is people attitudes. I’m extremely tired of people asking me if I “should eat that?” or saying that “that’s not good for you”. 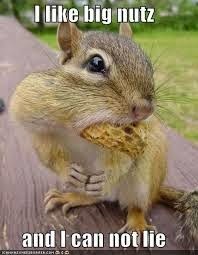 It’s really no one’s business but mine what I put in my mouth. I get that they’re trying to be helpful but what would be really helpful would be to read up on Diabetes and understand that I can eat anything I want – in moderation and as long as I bolus for it. The same is true for people without the D. I sometimes wonder how they would feel if every time they were about to eat something that wasn't a fruit or vegetable, I asked them if they would eat that. I’m guessing their response would be pretty similar to mine. Yesterday we kept stuff in, so today let's clear stuff out. What is in your diabetic closet that needs to be cleaned out? This can be an actual physical belonging, or it can be something you're mentally or emotionally hanging on to. Why are you keeping it and why do you need to get rid of it? (Thank you Rick of RA Diabetes for this topic suggestion. I hoard glucose meters. There I said it. I have at least 20 that I’ve collected over the years. My DNE gives me new ones every few years. Every time I get a new pump, one that links to it is also sent in the box from Medtronic. Family members somehow get them and pass them on to me. I’ve gotten them at diabetes education classes, pharmacy giveaways, and even random doctor’s office. I have no excuse and no real reason other than laziness for keeping them. 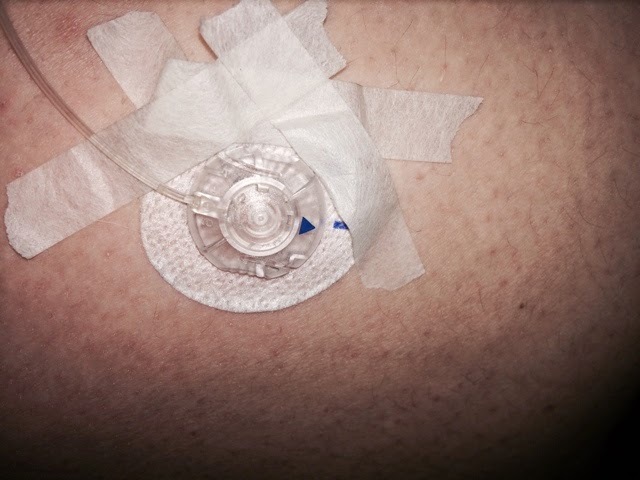 I always use the same glucose meter as it links to my insulin pump – Bayer Contour Link. I’m not a huge fan of it as it doesn’t light up in the middle of the night for low BG checks but it sends the data to my pump so my endocrinologist has all of my info in one place. There’s absolutely no point in me keeping them. Thankfully I’m moving at the end of the month so can use the opportunity to clean out all of my old used meters (as well as the never been used dust collectors). Wow Scott came up with an extremely hard question for me to answer today as I don’t think there’s anything about diabetes that I haven’t or wouldn't share with the DOC. The anonymity of the internet makes it extremely easy for me to share without fear of consequences. I do however keep things from my friends and family. I can’t even tell you why as I’m not sure. I didn't even realize that I was doing it until a few months ago. In February, Karen wrote this great post on what it feels like to have a low. It really resonated with me and I sent it to my husband and my mom. My mom called me as soon as she read it and told me that she had no idea that this is what happened when I had a low. I think it freaked her out quite a bit. I’ve been thinking about why that was the first time I had sent something like that to my mom and I don’t have an answer. I don’t know if sending her stuff like that more often would help her or hurt her more. It definitely something that I will need to ease her into. I’m probably freer with information with my husband as he’s right there. He sees the all-day highs and the all-day lows. He knows how frustrated I get when diabetes screws with my day or even when I manage to successfully maneuver through the idiosyncrasies of the disease. The only thing I probably don’t share with him is how often I cry when I’m frustrated. As for friends, they probably know even less. I guess what I've discovered in writing this post is that it’s really the emotional side of diabetes that I don’t share with people. I've always needed to process my emotions myself before sharing them with others. Since I received my diagnosis when I was in my early 20’s and was living by myself, I guess I got used to dealing with this on my as well. Finding the DOC and reading about everyone else’s experiences help me deal. I may not be very vocal on twitter or the blogosphere but I’m there and I’m reading. Thanks for posting everyone! Each day, I’ll take on a post idea that someone else has come up with and link my page to the others that have written about the same topic. 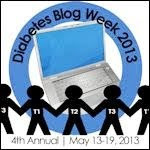 Please click on the banner above to see all of the info on Diabetes Blog Week including the participant and post list. It’s hard for me to think of something positive that Diabetes has brought to my life so I think I’m going to focus my post on something that I've accomplished despite having diabetes. I seem to mention it every time I post but the greatest thing that I've been able to do despite having diabetes is give birth to my amazing son. I was diagnosed with type 1 in my early 20’s. At the time I wasn't really interested in having kids so it wasn't one of the first things that popped into my head when the Doctor told me what was wrong with me. I was more concerned with the fact that I couldn't just go out with friends, eat a pizza and drink till I had a happy buzz. I actually had to start planning out my food and reduce the amount of carbs I was eating. It wasn't until I told my mom what the doctor had said that she brought up having kids. When I went in for my first appointment with the endocrinologist, she explained that it wasn't impossible but that like food, it would take a lot of planning and that the risks for something being wrong with the child were a lot higher due to the increased blood sugars. And boy was she right. It took me two years to get my A1C’s to the right place to consider trying for a baby. It was also recommended to change from being on Lantus (a long acting insulin) because it hadn't had a lot of testing on pregnant women to going onto an insulin pump. Once I did get pregnant, the control that I had to have with my food and testing was amplified by what felt like a million. I had to go for appointments every week between my endocrinologist, obstetrician, non-stress tests, prenatal echo-cardiograms, ultrasounds, dietitians, diabetic educators, and the list goes on. But at the end, I ended up with the most wonderful, funny, sweet, caring, little boy anyone could have. I Love Love Love this topic! Not because I have any amazing advice to give anyone. Cause I’m really not sure that I do. But because I am so excited to read what everyone else has to tell me. I’m constantly looking for new ways to make my life easier with D.
I do have one thing that I’ve never heard anyone talk about but that I do. I tend to put my infusion sites on my legs. For no other reason than my stomach is so full of scar tissue from 6 years of MDI’s and 2 years of infusion sites. I haven’t worked myself up to trying other spots yet but I know I’m going to have to move to my arms soon. My legs are getting pretty filled with scar tissue as well. As most of you know, having my infusion site on my leg makes going to the bathroom pretty tricky. It’s a constant battle to not pull out my site by getting caught on my pants or underwear not to mention maneuvering around the tubing. To take the tubing out of the equation, I actually thread it under my underwear so that it isn’t an issue when they are pulled up or down.